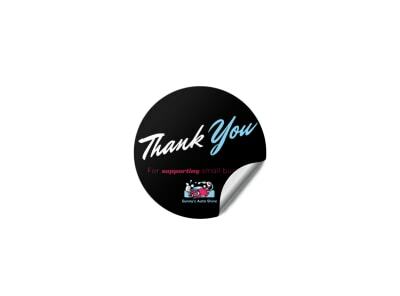 Give your cleaning service that extra special personal touch by customizing your own stickers to be affixed to invoices, proprietary cleaning products, or on a special “thank you” gift for your regular customers. Our design team is always working hard to create new cleaning sticker templates to fit your business. Sweep one up, then take a turn with our online editor to freshen it up with your logo and phone number. Print your one-of-a-kind cleaning sticker anywhere you like or cut out the middle man by using our print services. We’ll deliver a box that passes the white glove inspection!